Bioshock Infinite was a bit of a bizarre game. It released to nearly endless praise, only to be called the most overrated game of 2013 weeks after the dust had settled. From the story to the gameplay, it has become quite polarized in its reception as time goes on. Burial At Sea: Episode 1 promised to be as compelling as Infinite, though struck out because of its short length and abrupt conclusion. Irrational Games assured us that Burial At Sea – Episode 2 would be an intriguing and concrete finale to the series, and it really followed through in this regard. Burial At Sea – Episode 2 has you playing the role of Elizabeth for the first time in the series, and after a brief and beautiful introduction, picks up exactly where Episode 1 left off. Avoiding spoilers, if you remember what happened at the end of Episode 1, you’re about to have your mind blown at all of the insane twists and turns that are around each and every corner of Episode 2. Like Infinite as a whole, Irrational made the story just as bonkers as before. They managed to tie up Infinite quite nicely, even if there are some iffy parts thrown in. One of the main problems I had with Infinite and Episode 1 was that they seemed to juggle too many ideas at once, which caused the story to be convoluted and puzzling. The original Bioshock told a story that was JUST as insane, yet made every single twist clear and concise without leaving the player ever feeling unintentionally confused. Episode 2 has the exact same problem that Infinite has, in that you will often wonder what exactly is going on, even when the credits roll. It’s disappointing to see that they couldn’t flesh out the ideas more, or tell them in a way that doesn’t damage the story itself, but it’s become expectation with Infinite and its DLC at this point. When you manage to figure out everything that has transpired, you will appreciate the story as a whole, as it’s definitely up there on the intellectual scale, offering unique ideas and perspectives that are often not told within the realm of video games. It never manages to hit the level of something like the original Bioshock in my opinion, but it’s a refreshing plot told well if nothing else. As mentioned earlier, Episode 2 has you controlling Elizabeth. It’s very nice to finally get to see the world through her eyes, as she was undoubtedly the best character in Infinite, and shines even brighter in this piece of content. Every single piece of dialogue Elizabeth speaks is music to the ears, and the writing of her character is top notch. Her personality is strong and consistent, and she’s intelligent, witty and offers a lot of class to the game. Beyond her, characters such as Atlas and other familiars from Bioshock make their appearances, and it’s wonderful to see them again. 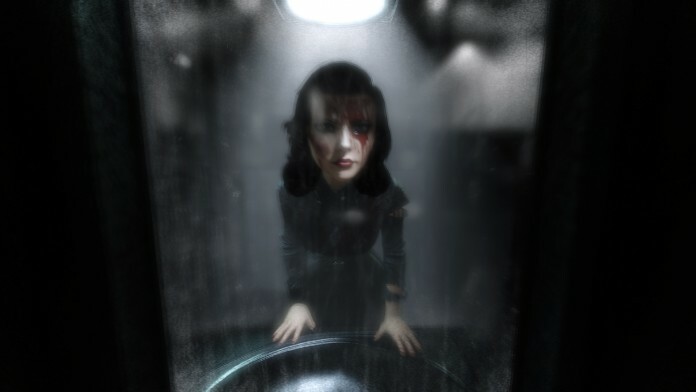 Part of what made Bioshock so appealing were the eccentric, deranged, and psychotic characters, and after a brief display with Cohen in Episode 1, we get to see a lot more into the minds of several other standouts. Unlike Episode 1, Episode 2 doesn’t tease you with the characters. What were brief and seemingly unimportant glimpses at old fan-favourites, become essential key scenes to the plot in Episode 2. 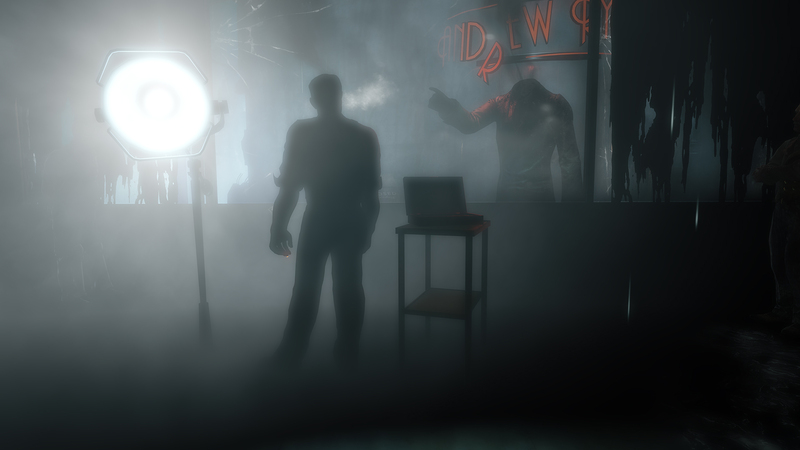 They never feel shoehorned in, and it’s actually a pleasant surprise that Irrational gives more insight into the story of the original Bioshock, as well as some of the lore of Infinite. These types of things make the plot and characters very fulfilling for long-time fans, and actually helps with the theories that people have created in response to the often ambiguous aspects of this universe. Even though the setting and characters are familiar, the gameplay has been drastically changed from Infinite and even Episode 1. No longer are you a gun-toting death machine with octopus vigors and the ability to spawn crows as personal kamikaze fighter jets. Nor are you guessing where the hordes of enemies are hiding and spawning as you get filled with so much lead, that you’d be considered a lethal weapon in some countries. The idea now is that you’re a female Solid Snake. Stealth is the name of the game, and Elizabeth with her vast knowledge, excels in this practice. You must use your new vigors to stalk from the shadows, your sleep-dart crossbow to render foes unconscious, and your occasional weapon to defend yourself when you make a mistake in your tactical approach. Enemies are laid out cleverly in most areas, but are less in numbers. You will rely on being quiet and using the environment to your advantage to sneak from safe zone to safe zone, as any direct engagement will often lead to your demise. Elizabeth lacks a shield, but makes up for it with her wit. When not taking part in stealth, you’re often exploring a meticulously designed world filled with nods to previous entries in the franchise and solving basic puzzles to progress. It’s a bite-sized original Bioshock in this regard, as the world is dark and beautiful, but hauntingly devoid of life. Every room is filled with ruin and destruction, but also the leftovers of what was once a beautiful city. As usual, the set pieces are designed with care in such a way, that you’ll often find yourself stopping to read the many vandalisms and propaganda spread throughout. The environments themselves never get bombastic or over the top like some of the key sections in Infinite, but the design is top notch regardless, and the urge to explore every nook and cranny remains ever present. Though not perfect in any way, Burial At Sea – Episode 2 delivered a praise-worthy finale to the somewhat disappointing first episode. 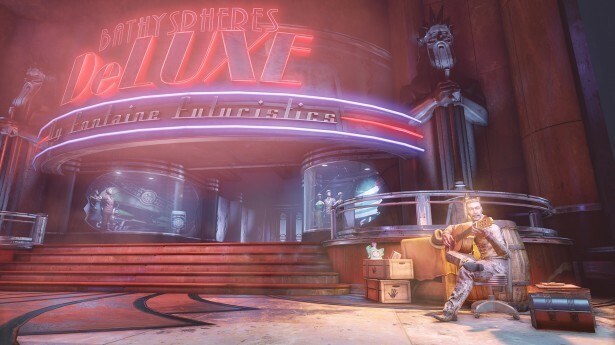 It wraps up Bioshock Infinite as a whole, while injecting new life into both Infinite and the original Bioshock’s lore. There is a lot of content for people to play with here, and like Infinite, I suspect that Episode 2 will spark endless debates.